It’s time to look at one of the new Christmas games! 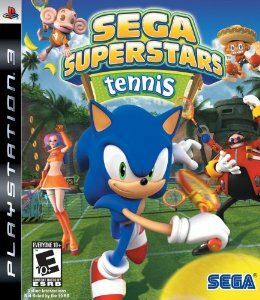 I’ve always been a really huge fan of Mario Power Tennis for Gamecube and in many ways it was incredibly ahead of its time. The gameplay was exceptional and there was a good array of characters to choose from. There were many modes and the replay value was off the charts. Since then the series has struggled and unfortunately Ultra Tennis does nothing to escape from this. It ends up being a vastly inferior version of Power Tennis. Right from the start you will realize that something is off as there is no Tournament Mode. You really only have 3 options here. Vs battles with the CPU, Mega Rally, and Online battles. There are some nuances here like Simple Tennis, Standard Tennis, Mega, etc. These are just different versions of the battles though. Gone are the minigames and such. You’ll just be playing a lot of Tennis so get ready. This game really tries to get you to play around with the new Mega options. So much so in fact that this is the default Tennis game and is used in the survival mode rumble. Get ready for this to extend every match as it is hard to lose when you are big. The only real way to stop the computers is to also turn huge and at that point it’s just a lot of back and forth. I can tell you now that I am not a fan of this mechanic. It’s a very forced gimmick. I don’t mind having it as an option, but certainly not as the default. You just can’t get around it for most of the game. The actual gameplay aside from that is unfortunately a step down from the last game as well. You now have a bunch of different shots that you can use based on the color of the circle next to the ball. I guess this is a way to let newer players know when the proper time is to use each one. The main problem with this is that it makes the game easier and makes those shots more effective. You’re now letting the game tell you what to do. Power Tennis had it perfect so why change the setup? Nintendo really went overboard with all of the extra gimmicks during this era. I would say that the new Mario Tennis for Switch could fix it, but I played a bit of that one and it seems like a step below Ultra so that’s worrisome. Again, if you want to have fun you should go to the Simple Tennis mode. That one plays the most similar to Power Tennis and is just a far more rewarding experience. The matches are quicker without the turning huge part and it just feels a lot more natural. Still, if you like the new additions then you’ll be able to experience that everywhere else. Not for very long though as the game is quite short. So I mentioned that there is no tournament mode so why are you playing anyway? Well, there are 25 achievements in the game. All of them are meant to grind the experience even further. You have to beat 15 opponents in a row with a bunch of different characters to get their Star form. You also have to play 10 games of each mode, get to 100 in the Rally mode, and make it to round 40 in survival. They’re mostly fairly easy or at least achievable with time, but you can tell that they just take a really long time to do. That’s easily well over 100 games if you want to do them all. Fortunately you can buy the achievements with money that you earn from the matches. It still takes a long time and I lost count of how many matches I completed, but buying them all is definitely the best way to go about it. I finished the game with 3 hours and 39 minutes of play time so it is considerably short. That is 100% of the single player content done. At that point all there is to do is online and local multiplayer. A good multiplayer game can last with just that, but this isn’t exactly Super Smash and there is virtually no reason to play it if you still have Power Tennis. As a result, I have to give this game the thumbs down there. Still, to give it a bad score just because it isn’t as good as a previous installment just isn’t enough of a justification for me. If Power Tennis did not exist then this game would probably be more fun. I’ll acknowledge that the game could and should have been a lot better, but at its core it is a reasonable tennis game. The gameplay is still fairly entertaining and you’ll be able to play it for a few hours at least. The price isn’t that bad nowadays either. I recommend playing the Mega Ball rally a bit just because it’s at least a slightly different way to play here. It’s the only minigame that survived but what wrecks this one as well is the fact that you can lose if you beat your opponent. You have to keep the ball going back and forth so if you or the CPU loses then it’s all over. Then there are the graphics which are quite good. The game still does look very modern. The colors are vibrant and the character designs are on point. That’s certainly what I like to see in a big Nintendo game. I’ll also give the soundtrack a thumbs up even if it isn’t the most original one out there. It sounds nice while you’re playing and that’s the important part. Even if the replay value isn’t high, the technicals are on point. It’ll be a fun game for a while even if the time is limited. 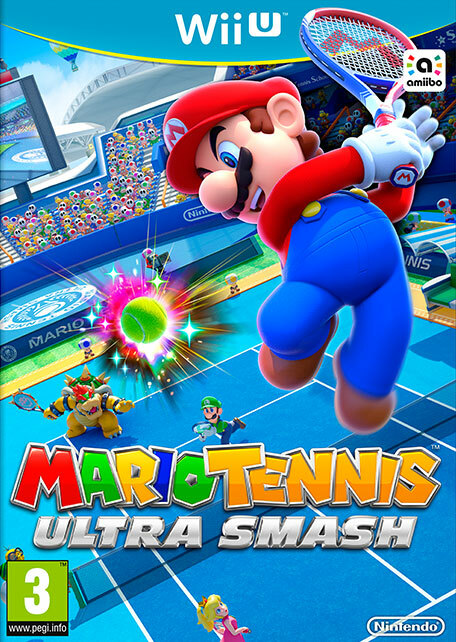 Overall, Mario Ultra Tennis is not the game changer that you would hope it could be, but it’s not a bad title. I do think the developers spent a reasonable amount of time with it. They just tried to be too inventive with the controls. It’s a Tennis game, they really don’t need to be doing anything too fancy with it. Just nail the fundamentals and the rest would come into place just fine. If you haven’t played the other Tennis games then this is a reasonable pick. If you still have a Gamecube/Wii though then I would recommend picking up Power Tennis instead. Trust me, I’ve put in over 100 hours on that game and it is legendary. You would not be disappointed in the slightest. 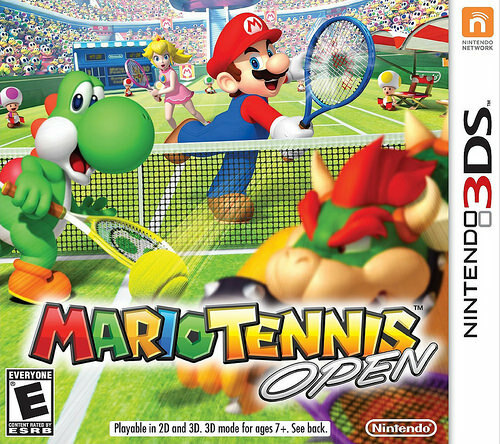 It’s time to take a look at a Mario Tennis game that was pretty much overshadowed the instant it came out. That’s because it’s basically the same as playing the Gamecube game except with no cutscenes and less games. As a result, there is little reason to buy this game unless you desperately want to play it on the go. Nonetheless, it was only 10 dollars so I figured..why not? It was basically free thanks to a coupon and I’m glad I got it. The game doesn’t do anything unique, but it still has good tennis fundamentals. There is no story mode of course and so the closest thing is the traditional Tournaments. There are 8 tournaments and each tournament has 3 rounds. Complete the first 4 to unlock the star version of the character you are playing. The battles never actually get too tough. One thing I noticed about the AI is that if you let them get to the ball then you are unlikely to win a rally against them. Fortunately they can’t seem to handle your serve on any level so you can easily score with your return. If you don’t then you will most likely have lost the point. That adds a little extra tension to the rounds I would say. You can complete all of the tournaments in a little under 2 hours. To help with the replay value, you can do that with every character in order to get all of their Star Forms and some more items for the shop. Every time you win a match a random item is unlocked for purchase. The annoying thing is that the tournaments don’t get you any money though. To earn money you have to play the minigames. They are surprisingly difficult though so clearing all of them could take some time. This way at least you are earning money and accomplishing at the same time. That’s a plus right? Before talking about the minigames, I suppose I should mention that we also have Doubles tournaments. I was never the biggest fan of doubles and didn’t really go into that mode, but it’s sure to add more length to the game. As per always with sport games, the true replay value occurs if you have someone to play with. Otherwise you likely won’t end up sticking with the game for very long. I find it telling that the game is only 10 dollars when Nintendo games rarely go down in price until a very long time has passed. There are 4 minigames. One has you relive some of the old 2D Mario levels as you try to keep a rally going while going through the level. It’s a fun concept, but a little too slow for my liking. The level goes by incredibly slowly so it’s more tedious than difficult. Ideally you want to have a good mix of both. It’s probably my least favorite minigame. Then we have Coin Mode. You have to shoot through the rings and gain as many coins as possible. This one is probably the most rigged as it will largely depend on your opponent. As a result I actually lost the Silver version of this game. It’s a decent concept, but I don’t care for the execution. Time for the 2 best minigames. One is a Rally where you have to keep returning the ball without letting the computer touch it. This one’s actually pretty fun and it’ll definitely test your reaction times as the plants fire the ball at you. You won’t know which one is shooting until the very end. Finally, the best minigame is the rally one. You have to keep hitting a ball back and forth as parts of the stage vanish. This game is taken directly from the Gamecube one and so you can probably see why it is the best. It was just thought through very well and is the right blend of challenging and length. The time goes by slowly at first, but by the end you’ll barely notice. These minigames may not be much, but at least they give the game a little more content. I haven’t talked much about the actual gameplay, but that’s mainly because there isn’t a lot to be said. It’s a very standard tennis game. You feel the power behind each hit and have different options on how to strike the ball. You fire off a high one, a low one, or a standard shot. You do seem to have special attacks, but I couldn’t figure out how to use them and didn’t even need them in the end so that’s why I didn’t try very hard. Perhaps I would have needed it against Ace level opponents at some point. The game has a dynamic camera view option, but I recommend turning it off. It’s distracting to suddenly have the game zoom in when you head to the net. I don’t know who thought it was a good idea, but it was probably the same person who doesn’t give the game the option to remember your choice. As such, you have to turn it off again after each match. It seemed really random though so at least you don’t have to worry about it happening after every match. Otherwise, I have no qualms with the actual gameplay, it’s what you would expect from a Tennis title. The graphics look really good. I wouldn’t be surprised if a lot of the effort went here although perhaps the character models were just grabbed from somewhere. As there aren’t any real cutscenes it probably wasn’t too hard to just focus on the models. Every character looks to be on point and the stages look sharp as well. The game delivers on this front. When it comes to the soundtrack, it’s fairly decent but forgettable as far as Mario games go. You likely won’t remember it all that well by the time you finish the game. Overall, Mario Tennis Open is a good game. The Tennis gameplay is solid and that’s really what counts. There just isn’t any extra content to keep you busy. Your attention will only stay on this game for as long as you enjoy playing tennis. I suppose collecting all of the items could help if you’re really a serious collector, but there isn’t a whole lot of point to getting it all otherwise. If you see it in stores for a fair price then I recommend checking it out. I can’t imagine grabbing it at full price though. No matter how fun Tennis is, it just wouldn’t have been worth it.